Suicide Squad, directed by David Ayer (Training Day, End of Watch) and starring prominent actors Will Smith and Margot Robbie, is the highly anticipated third entry into the D.C. Cinematic Universe. Following the much divisive Batman vs. Superman, Suicide Squad aims to pull the D.C.C.U. from the pit of mixed reviews and onto the revered pedestal of critical acclaim and fan adoration. But due to a multitude of flaws and convolutions, it falls short of this goal and continues D.C.’s streak of hype-fuelled disappointments. The first issue that became immediately apparent was the pacing. The initial scenes were jerky and disjointed, jumping too quickly and leaving me with a sense of mild dissatisfaction as I felt as if I wasn’t getting the full effect of what Ayer was trying to convey. I thought this might have just been for the opening scenes, but unfortunately it continued throughout the entirety of the film. There were also unnecessary scenes situated within the film, like the section in the trailer where Harley smashes through the shop window with her bat to grab a handbag, and replies to Flag stating “We’re bad guys, it’s what we do.” That’s literally the only thing that happens in that scene. It feels like an afterthought by the director, and was just shoved into the film after they had finished the main shooting. It felt really rigid and implausible, and could have easily been fixed by inserting some general dialogue either before or after Harley’s handbag grab. However, I felt that the dialogue of the characters was superb. Captain Boomerang’s accent was a little thick, but was still well done and his banter made me chuckle (I’m an Aussie, so I can vouch for its authenticity). The banter between the Squad as a whole was enjoyable, and didn’t often come across as forced, which really is essential for a team-based film. Another matter of contention I had with the film was the substance of the movie as a whole. I felt that the movie meshed cohesively with the rest of the DC Universe, thanks to the Batman cameos during the first half. The antagonist was a surprise too; the trailers make it out like the Joker is the baddie, but in fact it’s someone else wreaking havoc and causing all the trouble, and the Suicide Squad is dispatched to stop them. However, despite keeping this twist successfully under wraps until the release of the film, this is one of the film’s failings. The agenda of the antagonist was generic, and on a seemingly small and immobile scale, and in the end I didn’t really care. Another of the film’s shortcomings was the depth of the characters. Although it had little ‘origin stories’ before the introduction of each character (and I understand that W.B. could be saving some full origin movies for later), I didn’t really feel emotionally invested in any of the Squad members. Deadshot and Harley receive a bit more backstory as the movie continues, but they’re patchy sequences that again didn’t really fit in the moment of the scene. There’s one particular sequence in the bar where Flag reveals some sentimental items to Deadshot, instigating the turning point of the film, but because I didn’t really care about the characters it sort of left me scratching my head. The combination of shallow characters and a weak antagonist meant that the plot of the movie was significantly weaker than it could’ve been, which is also disappointing. Now let’s talk about Jarred Leto, and more specifically his portrayal of the Clown Prince of Crime. Firstly, I have to address the aura surrounding his extreme method acting, where he did things like remaining in character throughout the entirety of the shoot and sent all manner of awkward and disgusting presents to the cast. I understand that the Joker is one of the most revered characters in pop culture, and method acting seems to be compulsory when asked to portray him. But juxtaposed to the amount of screen time Leto actually received (and Leto claims that many of his scenes were removed from the final cut of the film), the way he prepared himself seems to be blown way out of proportion. He maybe had 15 minutes in total, and while giving a convincing and interesting performance, I suffered the same lack of concern for him as I did for the other characters. If this movie did not have crazy amounts of hype, it would be seen as a pretty average superhero flick. But this movie did have crazy amounts of hype, and ultimately that hasn’t worked in its favor; not living up to the expectations it started seeding almost a year before its theatrical release. 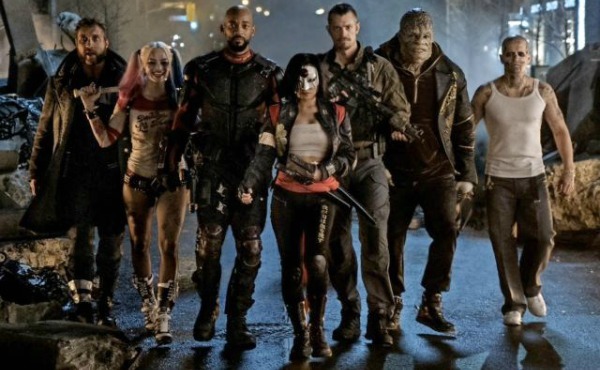 I really did want this movie to be good, but ultimately the cons outweighed the pros, and Suicide Squad will be remembered as the movie we were all excited about but then failed to deliver. I absolutely agree with you. Well Margot was obviously cute. Was actually glad to see Jai Courtney more than the others (love him since Unbroken and The Water Diviner – https://putlockers.watch/1226-the-water-diviner-2014.html). The soundtrack was quite good. And that’s probably all. I wasn’t impressed that much as I thought I would be. Sorry about that. If it’s your opinion, it’s your opinion. I just think in my own opinion, I liked it. It’s okay not to like something the first time.